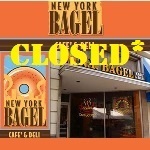 NY Bagel Café franchise sellers Joe Smith & Dennis Mason, apparently tell prospective franchisees that the first NY Bagel franchise opened in 2012 and the chain grew to 14 franchises by 2014 with zero failures. 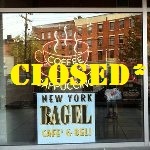 Sadly, the NY Bagel Café Franchise Graveyard tells a MUCH different story. Just pay a $17,500 (sometimes $29,500) franchise fee and you could get in on the ground floor of a fresh new franchise concept with zero franchise failures. Don’t worry… If the franchisor fails to get you financing for the $112,500 – $194,500 investment, they promise to give you your franchise fee back. Best yet… their failure-free track record & practically risk-free deal is documented in an official looking document called their Franchise Disclosure Document (FDD). Only one problem: None of it is true. 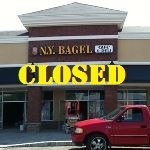 UnhappyFranchisee.Com has identified 30 NY Bagel franchise locations that have opened – and closed. Several have failed and been sold to new owners – only to fail again. 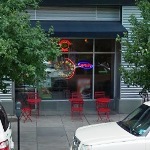 Those we couldn’t find pictures for are marked with an asterisk (CLOSED*). 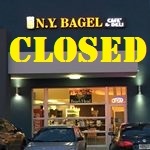 Disclaimer: We have pieced together the NY Bagel Franchise Graveyard and the list of NY Bagel closed locations from public documents, Internet searches and archived versions of the company webpage. As we have had to source this information from a variety of sources with no help from NY Bagel Café (they refuse to respond), so some of the dates or other details might be incorrect. 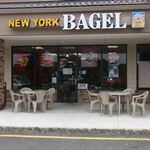 If you are considering investing in a NY Bagel Café franchise, read all of our posts listed below and do your own research. 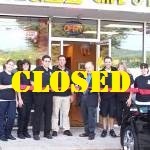 Ask Joe Smith & Dennis Mason to explain the many closed stores. Ask why their ads promise 100% financing but franchisees claim they only receive a list of sketchy lenders that they must contact. 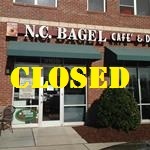 Is NY Bagel Café franchise a scam? 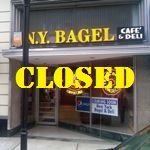 It’s our opinion that after achieving a 90% failure, Joe Smith and Dennis Mason came to realize that the NY Bagel Café franchise concept is simply not a viable business model. 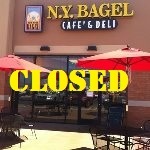 Before you buy any franchise, do your homework and make an informed decision. Joe Smith & Dennis Mason’s response to these allegations: None yet received. 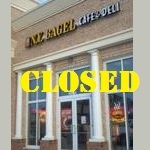 ← Is NY BAGEL CAFÉ Ocean City MD an Illegal Franchise?